Kick It Entertainment pride ourselves on the quality of our discos. All of our equipment is bang up to date in sound and lighting, and is all PAT test certified. This is a requirement by most hotels and large venues. We cater for all occasions, small or large from children’s parties to wedding anniversaries. We endeavor to choose the right DJ for the right occasion to ensure you have a memorable night for the right reasons! 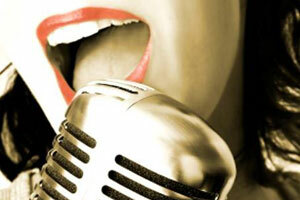 Our DJs are professional and come highly qualified within the entertainment industry. Using their experience and know how they will cater to you and your guests needs and of course they are open to taking any song requests! 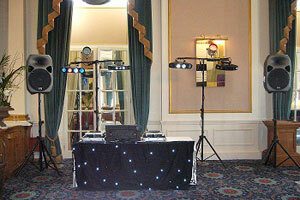 If you are planning a children’s party we only supply DJs that are CRB checked to give you piece of mind. The entertainer can provide a disco, karaoke or a combination of the two for your event, a bubble machine and a number of Karaoke T-shirts can also be provided for the children. When booking your event with Kick It Entertainment our mobile disco includes the DJ, plus all equipment (sound and lighting) and the facility of emailing us any of your favourite songs up to 72 hours before your occasion, this we will guarantee the DJ to have with them on the day. We are committed to providing our clients with a fun and enjoyable karaoke event whether it is for a wedding, birthday or social event. We use state of the art equipment, invest in our karaoke library monthly and provide a professional host to perform at each event. We carry professional looking books that on request can be customized to suit your requirements. The books detail all of the karaoke songs available to sing and supply pens and karaoke slips for customers to request songs. We are also able to adjust the pitch of the music if required; this makes us the perfect choice for a karaoke competition. Kick It Entertainment can combine a disco and karaoke for your event providing a mixture of entertainment for your occasion, giving you and your guests the opportunity to sing and dance the night away! Please Note: Singers names appear surname first e.g. Minogue, Kylie. Due to songs being on more than one disk they may appear twice in this list. Flight Of The Conchords The Most Beautiful�..